Hello! 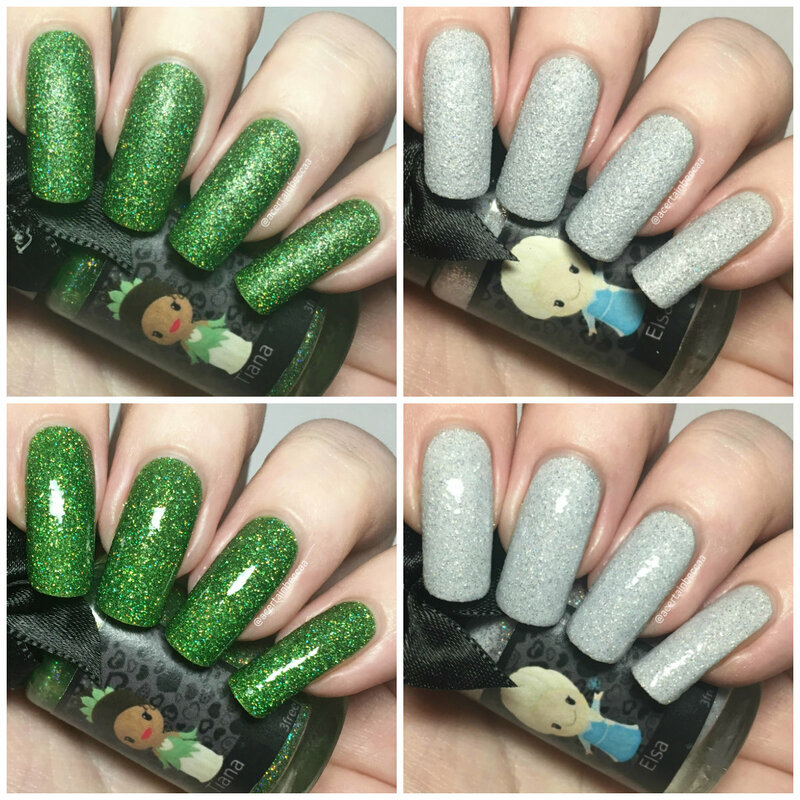 Today I have swatches of two of the new Esmaltes Da Kelly (EDK) Little Princess polishes. The 10 piece collection has just recently been launched and are all available now on Rainbow Connection. They are all inspired by different Disney Princesses - could you get a better theme?! The two I have to share are 'Tiana' and 'Elsa'. Read on for my full swatches and more info! Before I get into the swatches, all of the polishes in this collection are textures. 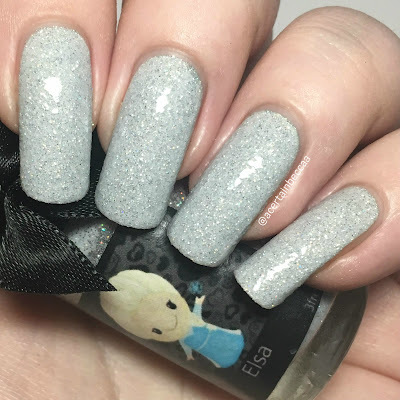 They therefore dry matte and textured, but can also be topcoated for a smooth, glossy finish - I like to think of them as getting two polishes in one! 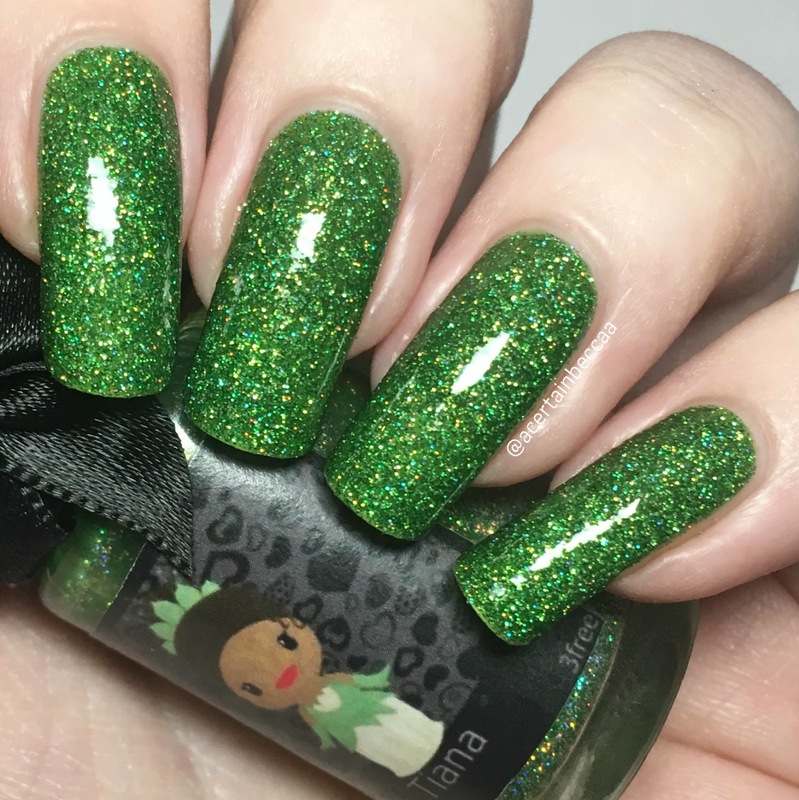 'Tiana' is a green jelly base full of green and holographic microglitter. 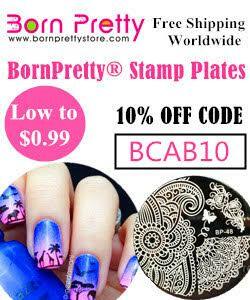 It was very smooth and easy, and covers very evenly. If you wanted to, you could easily leave it one coat for a sheerer, lighter look. It builds up to be completely opaque on the second coat. As mentioned it dries down matte and textured. Below is two coats without topcoat. I then added two coats of topcoat to show the glossy finish. 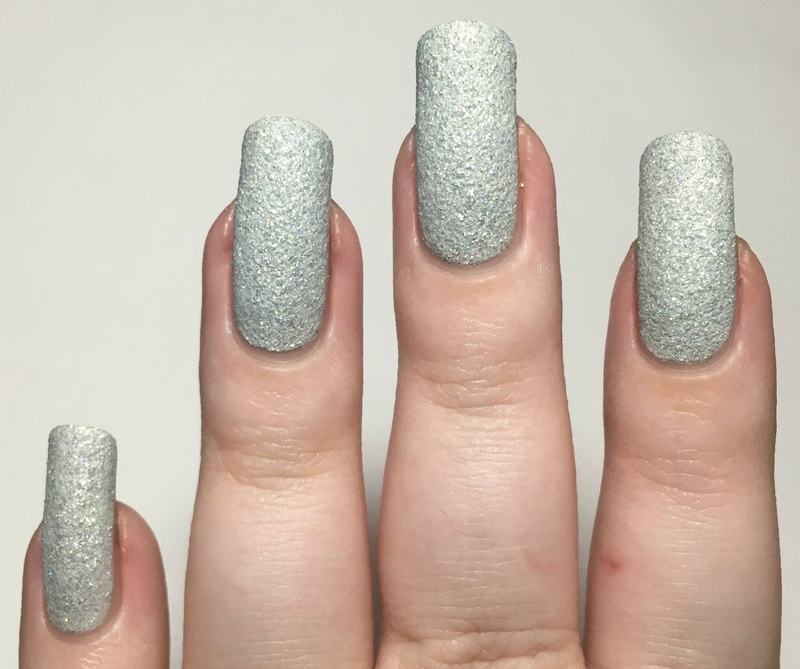 'Elsa' is a white base full of white and holographic microglitter. This has a very similar formula to 'Tiana', and applies smoothly. It is slightly patchy on the first coat but easily builds up to be opaque with a second. It dries down nice and quickly to its matte, textured finish. Below is two coats without topcoat. Again, I added two coats of topcoat to show the glossy finish. What do you think? I love textured polishes, and these two are no exception! 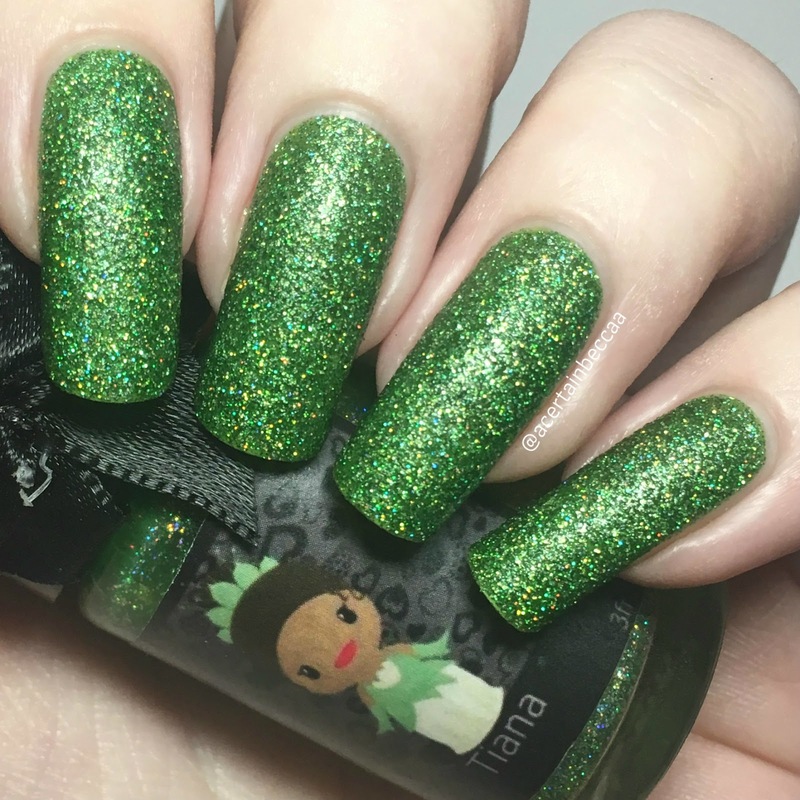 I also love green polish so Tiana is perfect for me. However saying that, Elsa really surprised me. 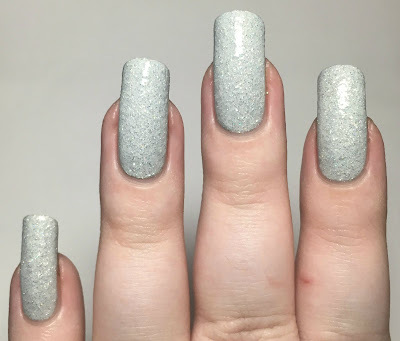 I didn't think I'd love it quite as much as I do - it's like sparkly snow! I definitely have my eye on some of the others from this collection now that I've tried these two. The full EDK Little Princess collection is available on Rainbow Connection now for £8 each - you can find 'Tiana' here and 'Elsa' here. I would suggest a peel off base coat for easy removal, I used UNT 'Ready For Takeoff' which you can also find on Rainbow Connection here. Beautiful swatches and polishes. I love full-coverage textured polishes and these remind me of Zoya Pixie Dusts. lovely swatches. I especially like the glossy look. Oooh, love Tiana too! The texture and shiny top coats are both amazing. GREEN. TIANA. So good!! I always love her packaging. The polishes look gorgeous & I love how sparkly Tiana goes with topcoat. 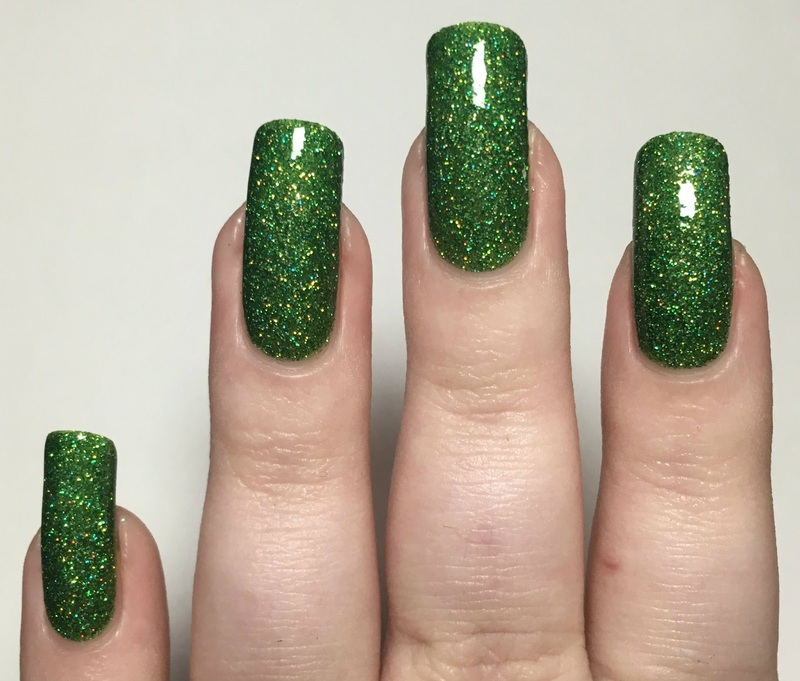 Petty polishes. I love the labels, so cute! 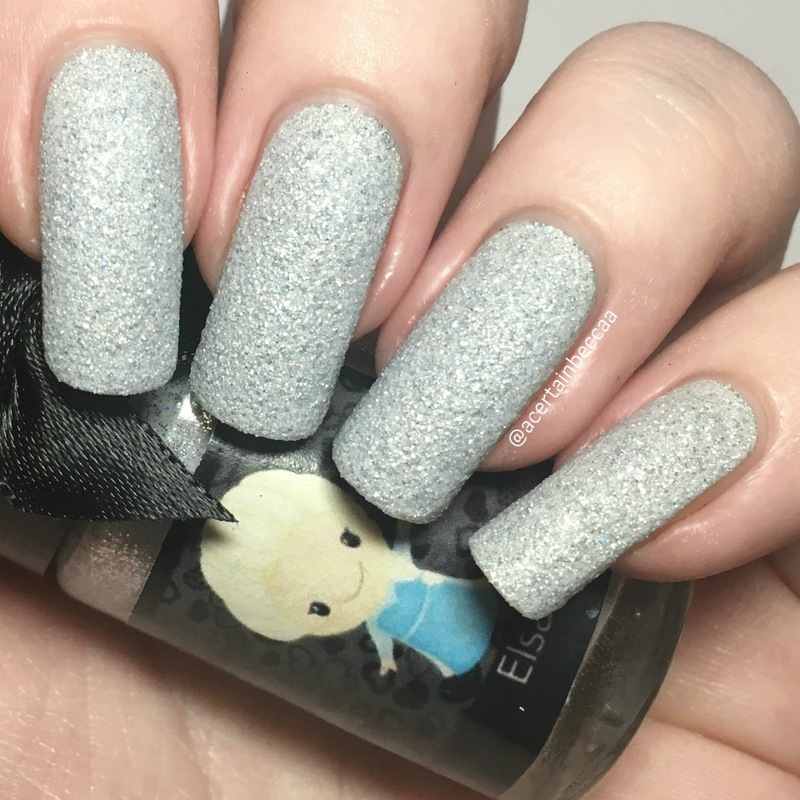 Elsa with top coat is super pretty! I absolutely love Tiana! Especially with end topcoat. Tiana is one of my favourite Disney princesses aswell!